In this edition, we’re bringing you a lot of exciting news. You’ll find a new tool to calculate savings, two new products, other award-winning innovations, new resources, and more! ACS/Uni-Fab™ recently launched a new ROI calculator to assist contractors with comparing costs associated with traditional installations versus pre-fabricated assembly installations. To use the tool, select the items and quantity needed for the project and we’ll present you with a report comparing time and material costs. 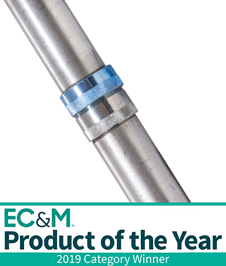 Allied Tube & Conduit® is pleased to announce that their NEW Super Kwik-Couple™ Raintight has been named an EC&M Magazine 2019 Product of the Year category winner. Super Kwik-Couple™ Raintight was judged the winner in the Conduit, Raceways & Wireways category. This new integrated raintight coupling allows you to connect GRC to IMC or EMT, or IMC to GRC or EMT whether your conduit is threaded or unthreaded. Each of those aspects are interchangeable. Now that’s an industry changer! Allied Tube & Conduit® recently released a Super Kwik-Couple™ Raintight sell sheet. The sell sheet highlights the many features and benefits of the industry’s best all-in-one conduit solution. 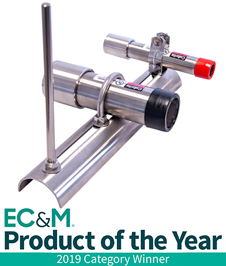 View the sell sheet, featuring the product that EC&M Magazine just named a 2019 Product of the Year category winner. Calbrite® is honored to announce that their BriteRail™ product was selected as an EC&M Magazine 2019 Product of the Year category winner. BriteRail™ was named the winner in the Fasteners, Hangers & Accessories category. BriteRail™ is a new and innovative design for sanitary and wash-down environments commonly found in food processing and pharmaceutical industries. The custom dome-shape design eliminates any flat surface where debris or bacteria can form, and eliminates the ability for water to pool during the wash-down process. The Unistrut® Hinged Beam Clamp is designed to pivot 18 degrees so the strut installation can remain level even when the ceiling is not. This innovative design provides a safe and easy solution for mounting strut to a sloped ceiling. 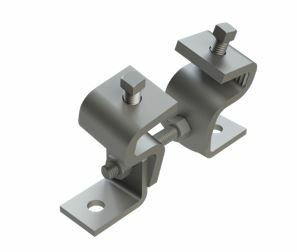 Learn more about the Hinged Beam Clamp or view the sell sheet. Certification plays an important role in the sales function as well as the compliance aspect of our business. As an example, steel products manufactured and/or mined and melted here in the United States are often required by customers to meet federal or state requirements. The latest blog post from AFC Cable Systems® features factors to consider when selecting flexible conduit solutions for rail. 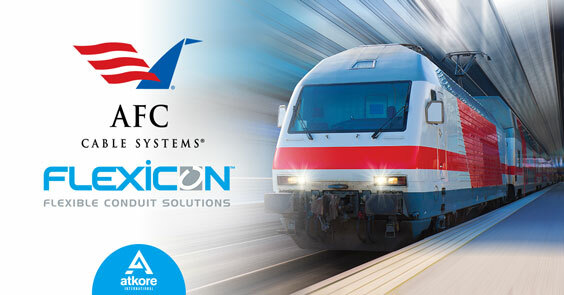 Learn more about requirements and standards for rail applications and available solutions provided by AFC Cable Systems®. Calbond® recently introduced a new product innovation – PVC coated aluminum Teck Connectors. Calbond® PVC coated Teck Connectors feature a one-piece design that requires no disassembly making for fast and easy installations. 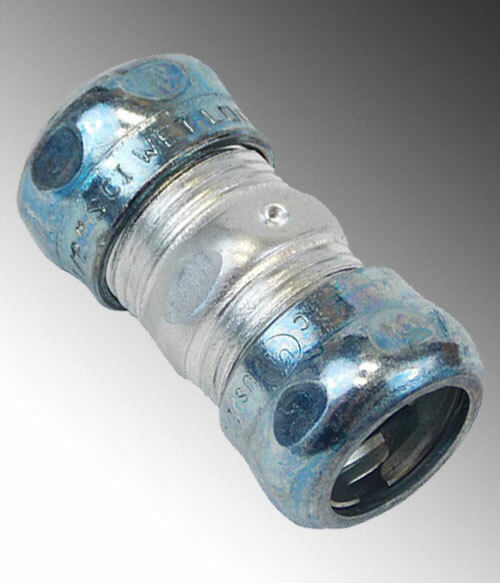 The Calbond® Teck connectors are manufactured in aluminum for increased corrosion resistance and are designed to form a watertight seal around the jacketed metal cable and at the enclosure entry. One of the best ways to protect people and property from vehicle intrusions is to use steel bollards, short posts used to divert traffic from an area or road. Bollards are strong, cost effective, and they let people pass freely but they prevent vehicles from entering areas that are for pedestrians only or areas where harm can be done to people or properties. 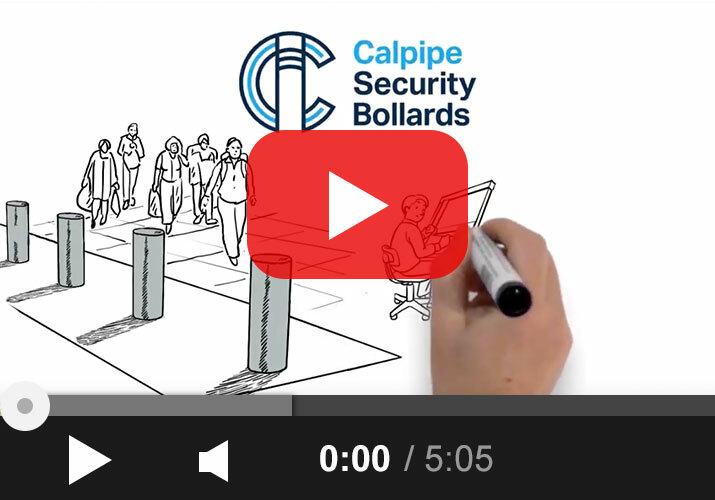 Watch our latest whiteboard video to find out how Calpipe Security Bollards® help protect buildings. 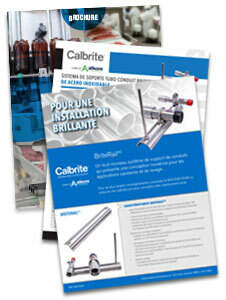 Calbrite® just released three of their most recent literature pieces in both Spanish and French translations. When planning a new construction project, renovation, or an addition to an existing structure, you need to choose which wiring method is the most effective. You’ll need to take into consideration physical protection, approved for exposed installations, approved for use in wet locations, offer corrosion resistance, and/or serve as an equipment grounding conductor. Calbrite® is proud to introduce their latest product innovation – stainless steel Teck Connectors. 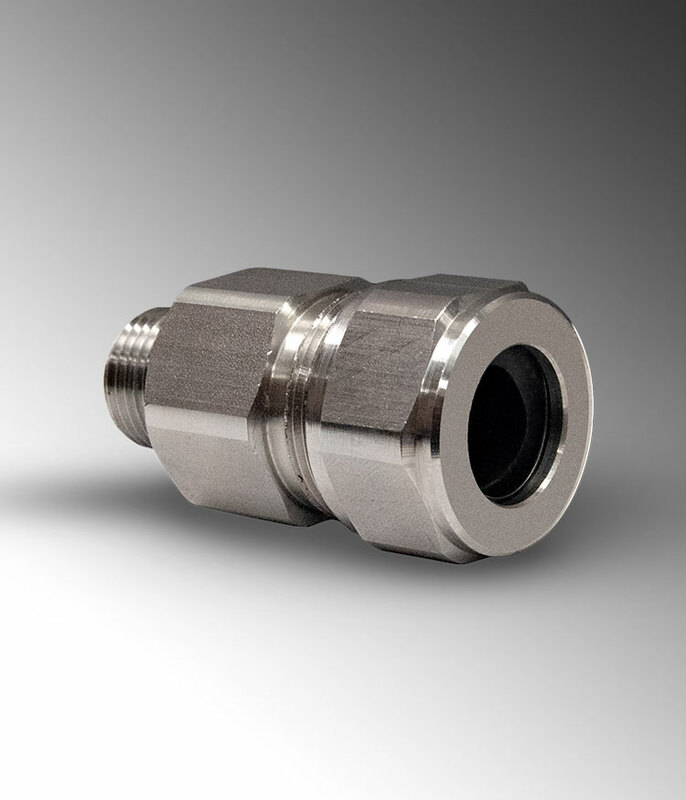 Calbrite® stainless steel Teck Connectors feature a one-piece design that requires no disassembly and are manufactured from 304-grade stainless steel for superior corrosion resistance. 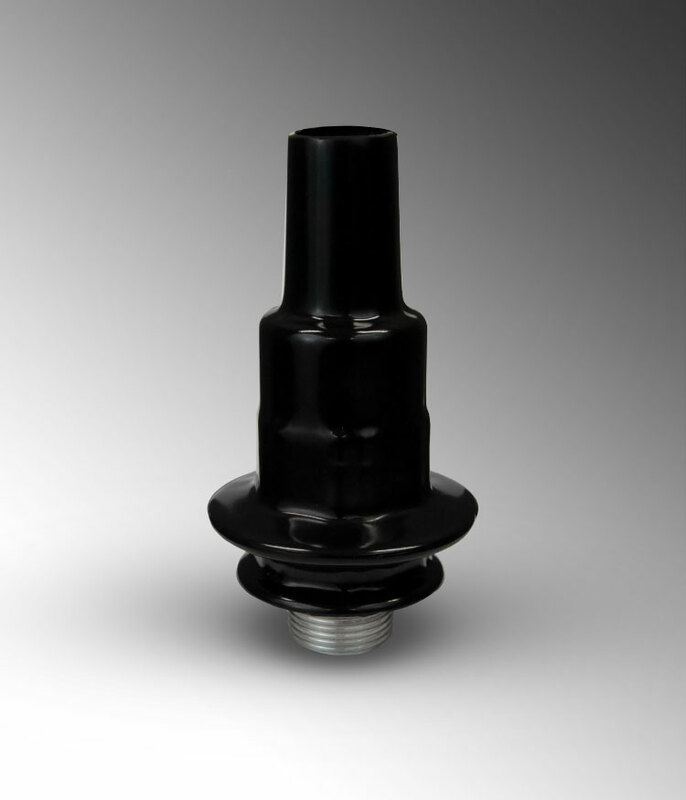 The Calbrite® Teck Connectors are designed to form a watertight seal around the jacketed metal cable and at the enclosure entry. Calbond® just released a new PVC coated conduit and fittings catalog. The 44-page catalog highlights the complete line of PVC coated conduit, fittings, and accessories. You can view the products on our website or view in the traditional digital flipbook format. 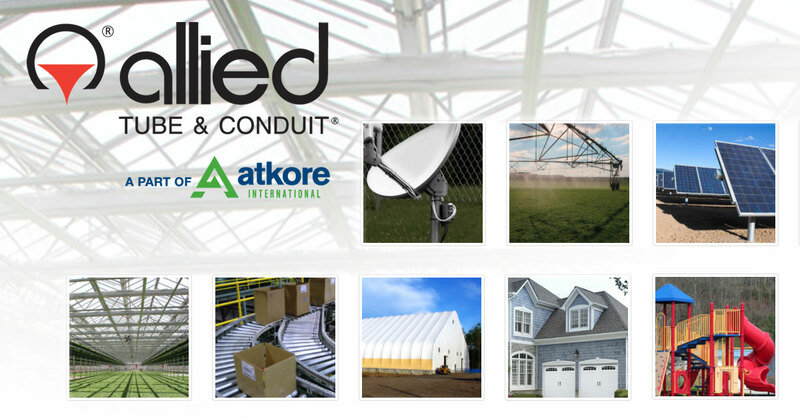 Allied Tube & Conduit® in-line galvanized tubing represents versatility by covering multiple verticals such as: communication, agricultural, solar, playgrounds, greenhouse, poultry, plus many more. When you have a customer in one of these industries remember, Allied Tube & Conduit® is who you can trust.